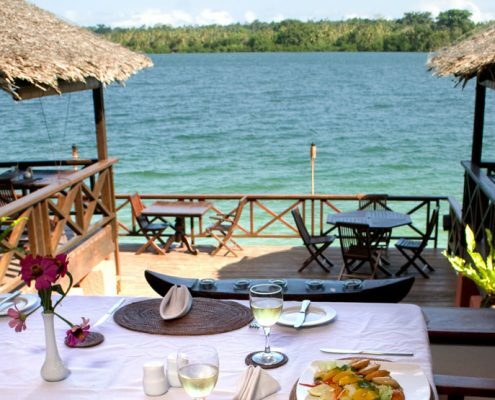 This small, boutique resort is nestled quietly in a tropical garden on the waters edge of Second Lagoon and is only 3km from the bustling town of Port Vila. 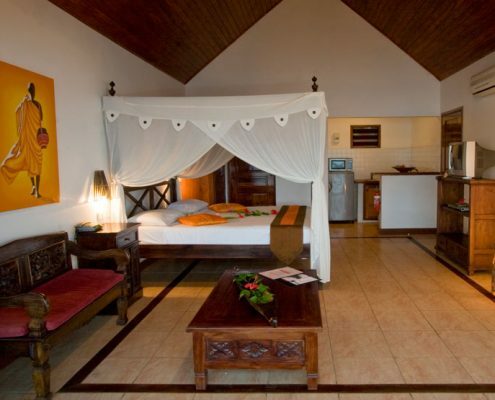 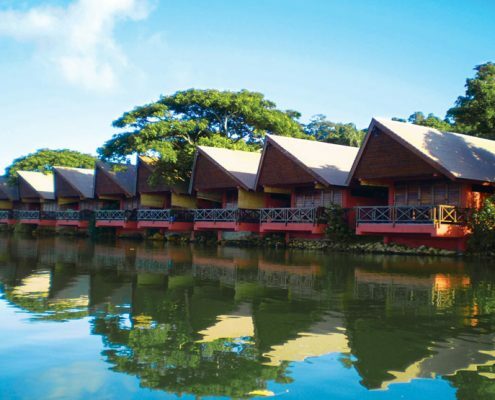 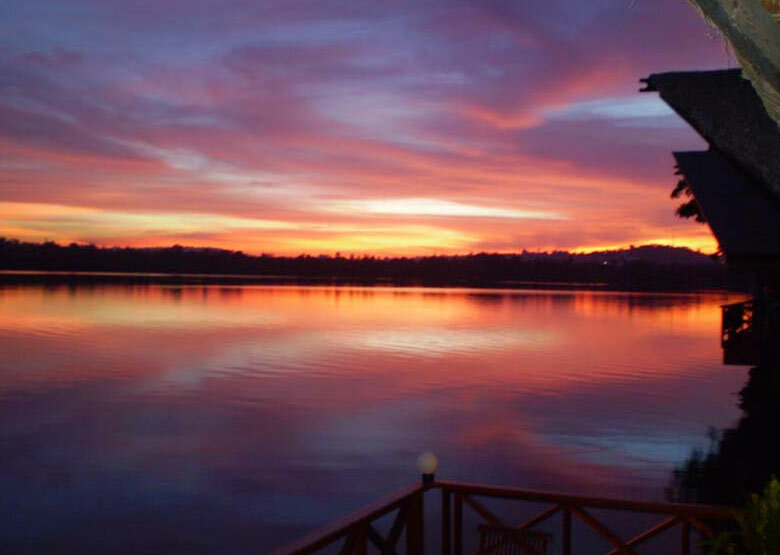 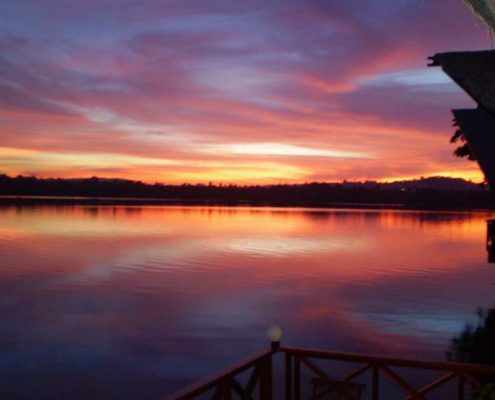 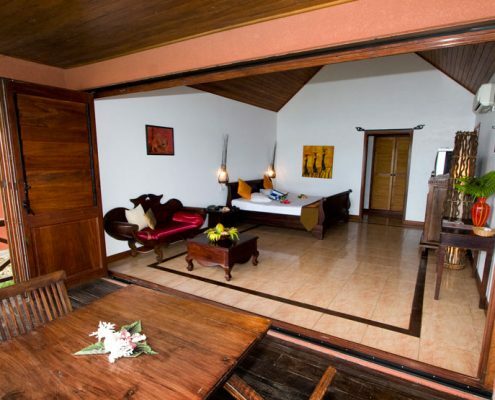 Sunset Bungalows Resort has been architecturally inspired by Melanesian styles and offers high quality modern facilities. 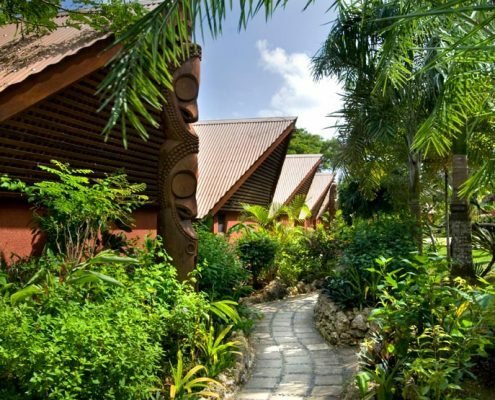 All rooms feature exotic native timbers & cathedral ceilings and are built on the waters edge with 180 degree views of the lagoon. 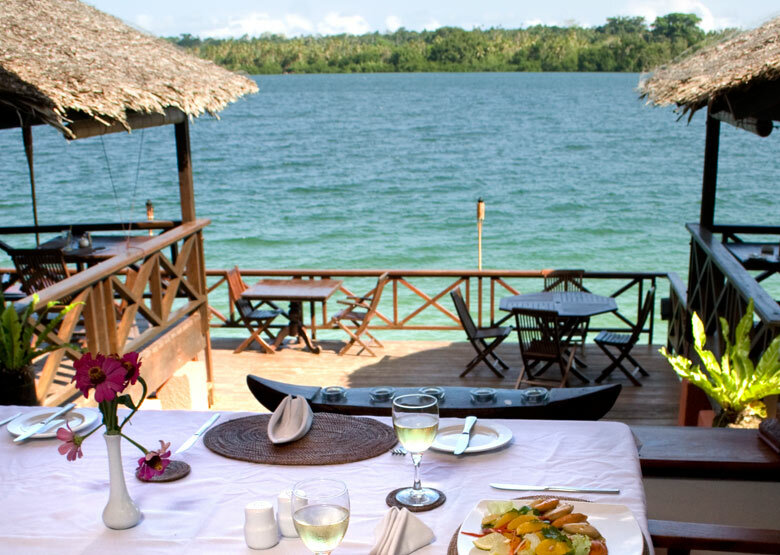 The overwater restaurant & bar (Bungalow:ATE) offers the perfect atmosphere to unwind and enjoy excellent contemporary cuisine or a luscious tropical cocktail. 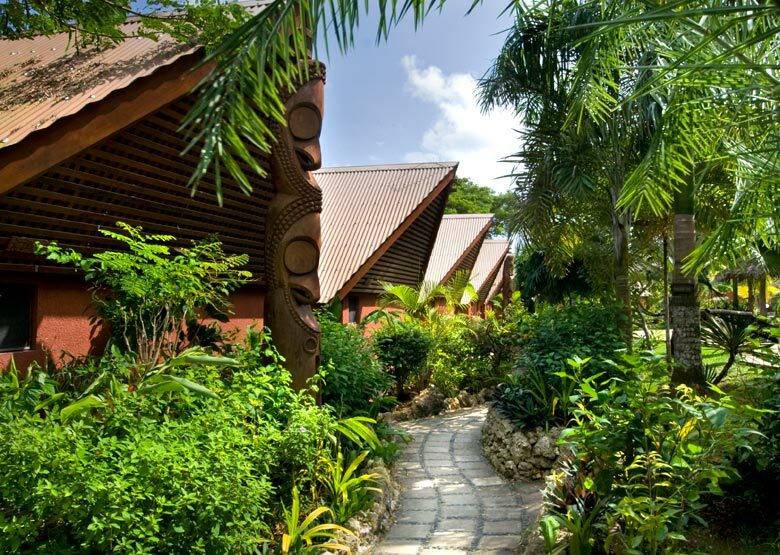 Sunset Bungalows Resort offers a peaceful, tropical escape – no guests under 18 years. 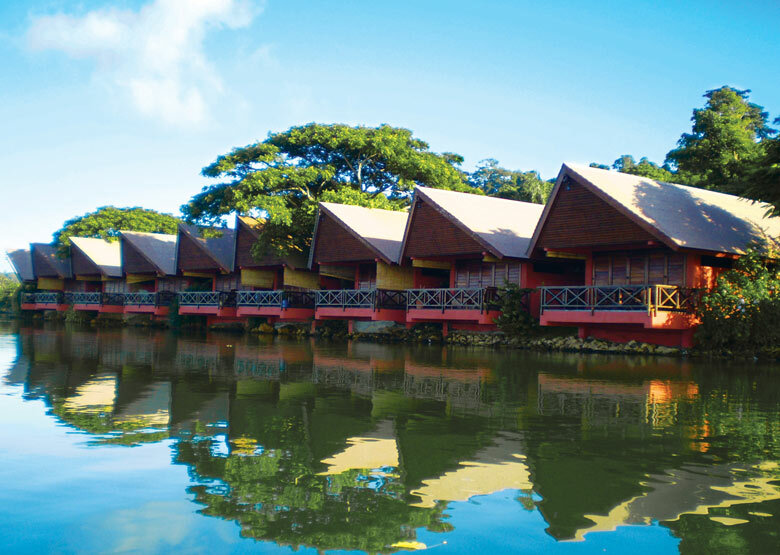 19 in total – 8 Lagoon View Rooms, 6 Waterfront Superior Bungalows, 4 Waterfront Superior Bungalows with kitchenette, 1 Honeymoon Spa Bungalow. 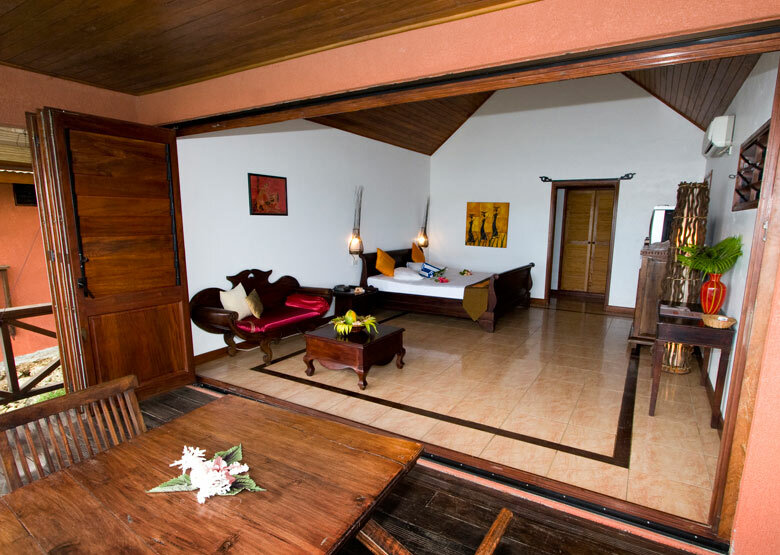 All rooms feature: air-conditioning, satellite TV, DVD/CD player, min-bar (on request), tea/coffee making facilities, in-room safe, hairdryer, iron & ironing board (on request), over water balcony with view. 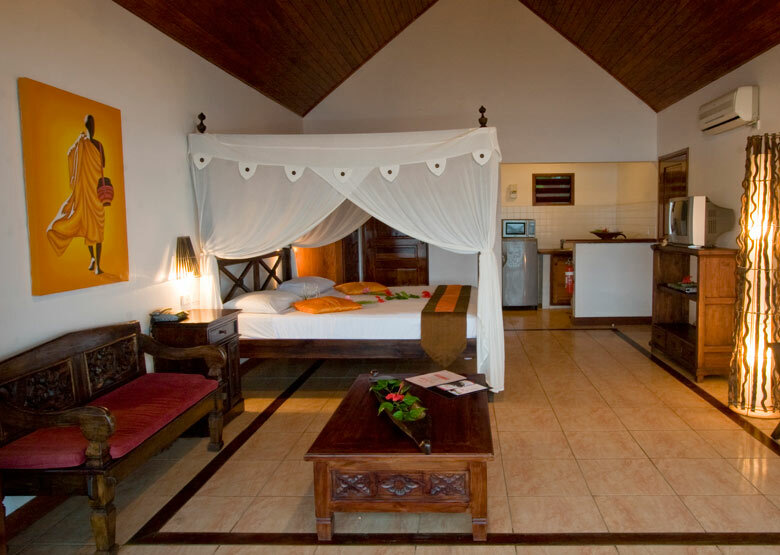 Honeymoon Spa Bungalow also features: plasma screen, double spa bath (with lagoon view), kitchenette, extended deck, deck chairs.